Proud New Westminster dentists, who are pleased to be able to provide a superlative experience delivering the highest quality of dental care for all of their patients. That’s our team in the photo above. To provide world-class quality dental care. We will never compromise on quality in anything that we do. To build an outstanding relationship with each of our patients. We’re known to put even the most nervous patients immediately at ease. To care about our patients’ whole body health. Our solutions serve both your oral health and esthetic needs, delivering self-esteem, confidence and vitality. To be available when our patients need us. Our patients lead fast-paced lives, juggling career and family. 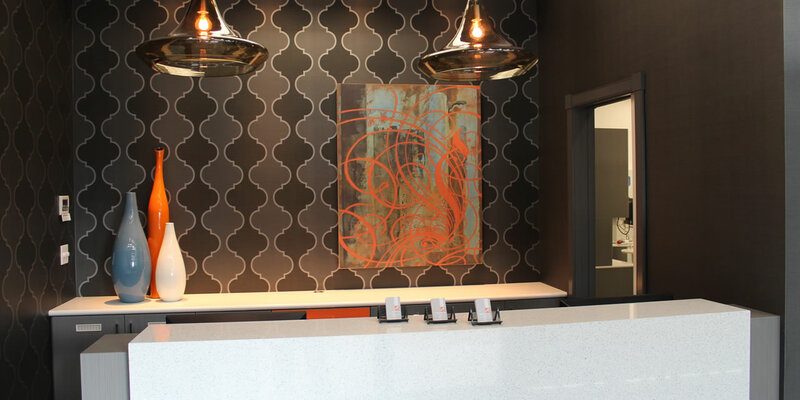 So we offer extended evening and weekend hours and respond swiftly to dental emergencies. To provide a relaxing environment. 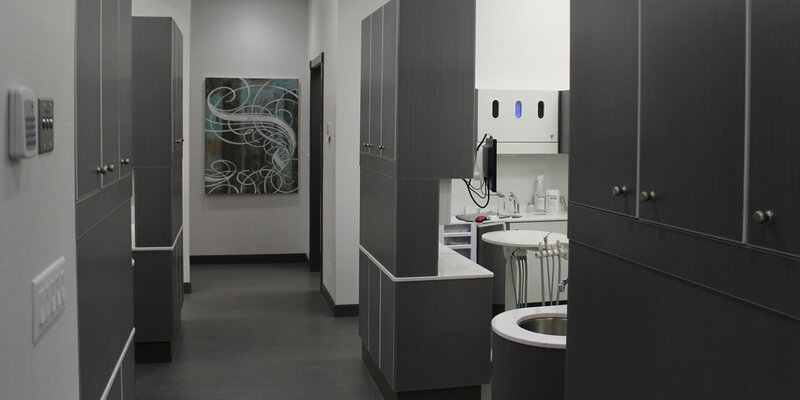 It’s our priority that you feel welcome and at home while you enjoy the many benefits that our modern, pain-free dentistry offers. 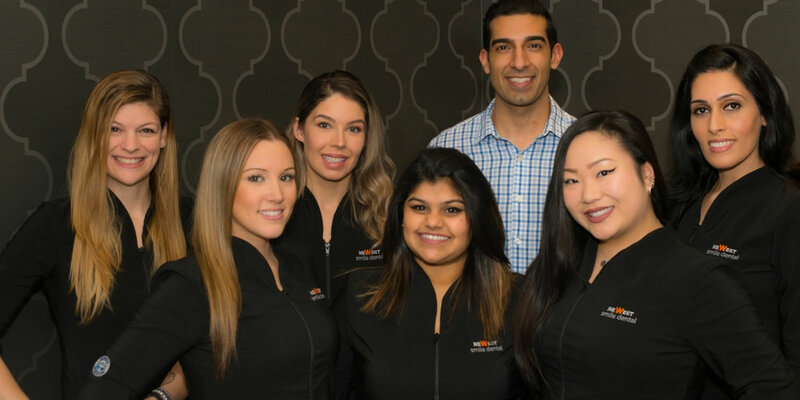 Dr. Farhan Shivji completed his Doctor of Dental Medicine degree at the University of British Columbia, and has since become the proud owner and principal dentist of NeWest Smile Dental, located in the heart of New Westminster’s Brewery District. My experience here was AMAZING!! The staff were super friendly, got me in same day and then got me in for the morning after. They made the whole experience easy and explained the whole process but also took my input into consideration. I have had other dentists give their condescending opinions and make it feel like they are just in it to charge me as much as possible. I didn't feel that way here at all. It was so refreshing. I'm not afraid to smile anymore. Have been going to smile dental for a while now. I really love their staff. Dr Shivji is energetic and caring. He only does work that needs to be done and gives you options. He always makes you feel like you are in control of your dental health. The hygienists and front office staff are always pleasant, professional, and willing to help. The hours don't are great too and I can usually get in right away with little hassle. Be it a chipped tooth, a regular cleaning, or trying to decide between Invisalign or braces, they are always easy to get in contact with and service is the best I have had in years. They are great for the whole family. Both my children go there and New West Smile Dental always is a great experience for them. They are never scared to go nor do they dread getting a filing if necessary. All the staff are super friendly and welcoming. Always have their patients best health in mind and do everything they can to make you comfortable during your visit. I definitely recommend this office to anyone worried about finding a dentist that is knowledgeable and friendly! Best dentist I've ever been to. They're so good I fell asleep during a root canal and woke up when it was done.